Two years after NewSpring Church in South Carolina lost their founding and senior pastor Perry Noble to alcohol abuse and other "unfortunate choices and decisions," Jesus Christ is now listed as senior pastor over a new team-led church model in amended bylaws. 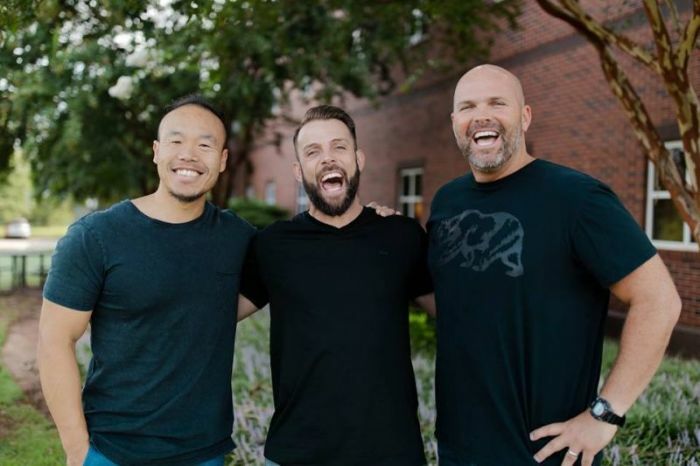 King, who was appointed interim senior pastor for a year at NewSpring shortly after Perry's exit, also revealed in a recent Essential Church podcast that the church was $47 million in debt when Noble left. Since then the church has managed to cut that debt down to $36 million in less than two years. "We are a true team approach to ministry now. I was senior pastor for one year but now our church has one senior pastor and we've literally in our new bylaws named Jesus Christ as our senior pastor. So we are structured differently now. It's a true team approach and let me tell you, I love it," King revealed. "Well by the grace of God it's working. We're healthier than we've ever been. We're stronger than we've ever been," King said. Lead pastors, as highlighted by the church's website, focus on four different aspects of church administration. The teaching pastors focus on teaching and preaching while the campus pastors manage the day-to-day operations at the individual campuses. "Some people when they hear team leadership they think no structure at all and that's not how we're structured," King explained. "All three of us are alpha males. And so the team approach for us is a beautiful thing because it forces us, when we felt like the Lord told us to do this at NewSpring, it forced the three of us as well as the lead team, to submit our egos to the Holy Spirit, cause you can't hide from your ego in that kind of space. And so the three of us are great friends. We are very close. We're brothers and we just have revival every Tuesday we get together for a couple hours," said King. He said teaching pastors plan teaching series and then take turns preaching every third Sunday at their main campus. The message is then streamed to all 14 campuses in the multisite church. King noted that while they have developed a leadership model that is currently working for NewSpring, it's people with integrity who make any system a success. "There is nothing like personal integrity. Personal integrity is indispensable, in ministry in general and in leadership more specifically. For us, what we've learned is the Holy Spirit wants to bring unity," he said. 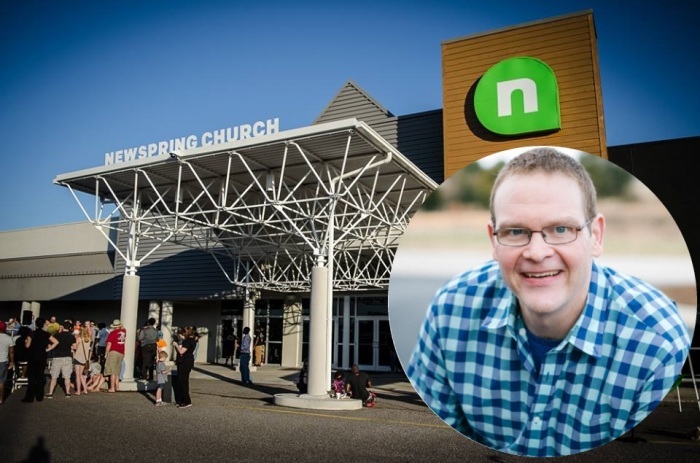 He said while some people might prefer the senior pastor leadership model, none of the leaders at NewSpring felt led to step into that role after Noble's ouster. "I've had this conversation with so many people over the last two years because the mindset, and it's not wrong, it's just that when everything happened in our church and the articles were written and I was named interim senior pastor, a lot of folks were 'are you gonna be the next senior pastor?' And honestly I never wanted to be," he said. They came up with their current leadership model after much prayer and study and right now the church feels more like "family." "We feel very confident that the Holy Spirit gave us that word. We use the phrase a lot around our church 'No ordinary family.' We had a series called 'No Ordinary Family,'" he said. Another change they made to leadership at NewSpring was losing the focus on attendance numbers. "One of the decisions that we made was that we were gonna quit reporting our numbers. We just wanted to be focused on discipling and growing and shepherding our people. What someone would feel now if they walk into one of our 14 campuses it's different than before. It still looks very similar, the style is very similar. We honor our past, we are very thankful for the legacy we're able to celebrate now but people linger in the lobby. We've got coffee, we've got refreshments but it's more than that. People want to hang around and talk," King said. The pastoral staff have also made themselves more visible and accessible to church members, he said. And as a leader with a charismatic background, King says the church is also more sensitive and open to the move of the Holy Spirit. "It feels like the Book of Acts, It feels like the New Testament and I've never in 31 years of ministry felt so happy to see a miracle take place because, honestly, a lot of folks, when everything happened at NewSpring a lot of folks didn't know if we would make it because there had been some other examples of churches that struggled through some similar scenarios," he said, naming Mars Hill and his friend Mark Driscoll. While he did not highlight any specific numbers, King said NewSpring wrestled with debt and loss of members when they embarked on their team model of ministry. They are now committed to avoiding any further loans until the church is debt-free. "We were $47 million in debt when we approached the team model of ministry. One of the commitments that we made is that we would not borrow any more money until we were debt free. And so by the grace of God we've been able to pay our debt down from $47 million to $36 million in less than two years," he said. And while King doesn't believe NewSpring's model of leadership is for every church, he believes it could be the model of the future. "I will say this and I say it boldly. We believe that no one can predict what the future of the church in America is gonna look like. We know the church is gonna survive and thrive because the gates of Hell will not prevail. But I just have to wonder if the Lord is using us, NewSpring, as sort of an example or maybe a test run," he said. "Maybe we are the ones that go first and maybe we can figure out some of this, so that in years to come as the Holy Spirit pours new wine in new wineskins and the church continues to grow and change and expand and the structures continue to look differently, maybe people can look to NewSpring and say those guys are doing team leadership let's hear from them."